Located on the corner of Talbert Ave. and Kovacs Lane. between Beach Blvd. and Gothard St. in Huntington Beach. A full service auto repair facility of highly trained and experienced professionals. 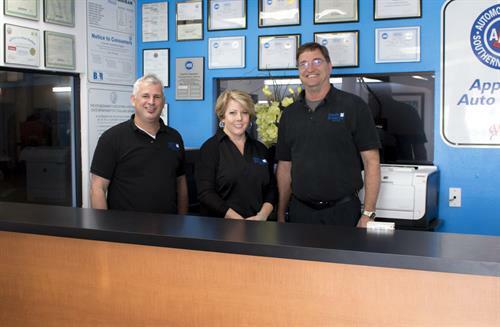 Established in 1993, providing the best in automotive diagnostic and repair to the residents of Orange County. Credibility is our key to success. All of our processes, decisions and actions are driven by integrity. We are honest and forthright in all of our dealings. As a company we accept responsibility for our performance and are continuously improving.